Recently a new client came to see me, wanting me to help her shed the excess weight she has been carrying. This woman is intelligent and educated and very introspective. She knows all she “should” do to be healthier; she even has times where her weight becomes her central focus. She said that she will get to a certain level of fitness and then people start to notice. That scares her and she retreats back into a shell of overeating and sluggishness. She is an all or nothing type personality mixed in with a bit of self-loathing. Because this woman was introspective, she had already begun to understand that her weight gain and weight loss was all between her ears. I asked her what diets and programs she has used in the past, like so many people I see, her response was, “what haven’t I tried is probably easier to answer”. We found a plan that fit with her current life style and she decided to use it. We talked about movement; she hasn’t much interest in moving. She hates the gym. So, I asked her what she can add into her life that might seem more like fun and less like “working out”. She does take a short walk daily; that is a good start. She has taken tai chi in the past, knows the movements and positions. As she has a great deal of stress in her life, that one seems like a no brainer. Because she is an all or nothing personality, we decided to add little changes into her life, a few at a time. She has understood now that hypnosis is not necessarily about the “shoulds”, but instead about the “wants”. She wants to be healthy, she wants to feel good and she really, really wants to love herself. Our trance work was focused on her loving herself more, but also on recognizing her emotions. We tend to judge emotions as good or bad, when in actuality, they are simply gauges to help us. If we smell sour milk, that sense tells us not to drink the milk. If we smell fresh cooked vegetables, that sense tells us we can safely eat it. If we feel depressed, then we want to address that feeling. How are we feeling ineffective? It is time to make a plan of action and put it into place (take action). Eating won’t do that and usually ends up in adding to our negative feelings because of guilt, bloating or lethargy. I made the comparison to a car. 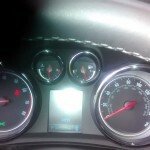 There are many different gauges and lights on a car, not all mean it is time to refuel. The brake warning lights might mean I need new brake pads or that the pressure is off. The oil light is a reminder to have my oil checked, I might need to have it changed or it might be low. Neither of those gauges signifies it is time to refuel, especially if my gas tank is full! All of our senses are important, just as all of our emotions. Perhaps it is just time to listen and respond to the signals as they are sent instead of trying to feed everything.